Sea level rise is a product of rising ocean temperatures; melting of ice caps, glaciers, and the Greenland and Antarctic ice sheets; and anthropogenic disturbances to the water budget (ex. groundwater withdrawal resulting in subsidence of coastal areas). Coastlines are changing dramatically with shoreline erosion, ocean acidification, warming temperatures, coastal subsidence and wetland loss and fluctuations in precipitation patterns. "Relative sea level along the Gulf Coast from Houston-Galveston to Mobile, Alabama, is likely to increase by at least one foot across the region and possibly by as much as six to seven feet in some parts of the Gulf Coast area during this century" (Us Global Change Research Program 2014). Taking climate action will improve the quality of the coastal environment and help mitigate the negative impacts of a changing system. 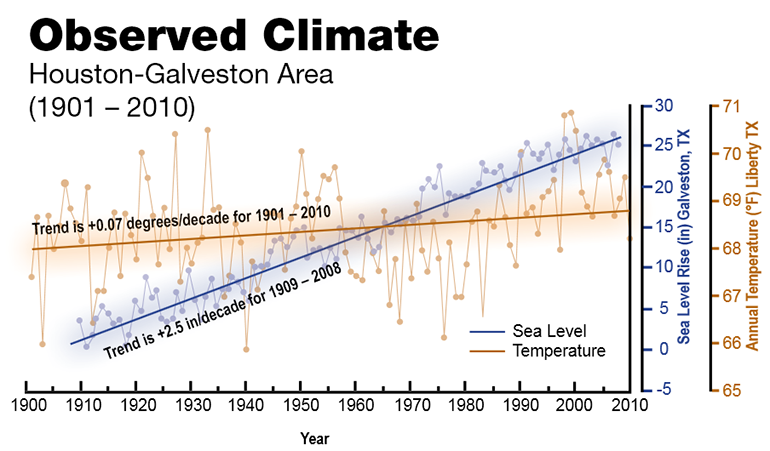 NASA presents an overview of causes of sea level change, regional sea level change, and local effects. 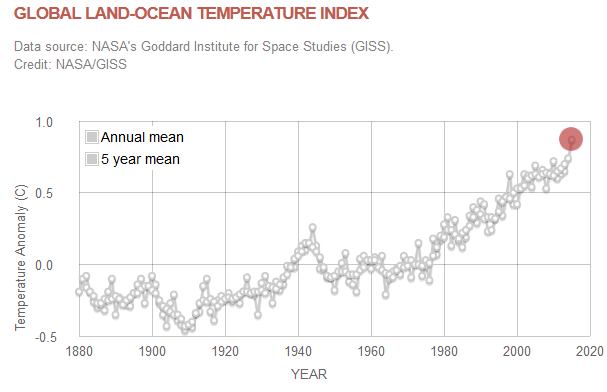 NOAA site for examining measured sea level rise and trends: Averages viewable by season, annual variations, and total change expected in 100 years. Sea-level rise modeling tool: Zoom to your location on the map to see relative change projections, tidal datums and extreme water levels in your area. US Global Change Research Program. 2014. Observed Trends and Projected Future Conditions For Climate Change Preparedness and Resilience.